Add light to your flag at night with this easy to install solar powered flagpole light. Without the need for electricity or running wires this solar light is a simple way to light your flag at night. 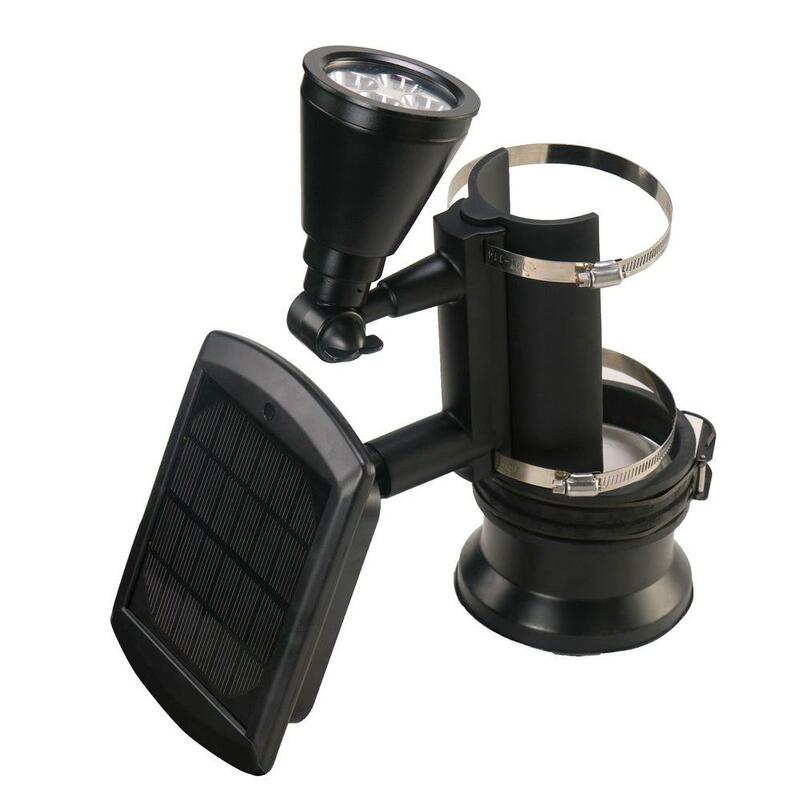 This solar light mounts on any flagpole with the adjustable pole widths from 2” to 4”. The attached amorphous solar panel captures the sun’s energy and stores it in the in the included rechargeable batteries. 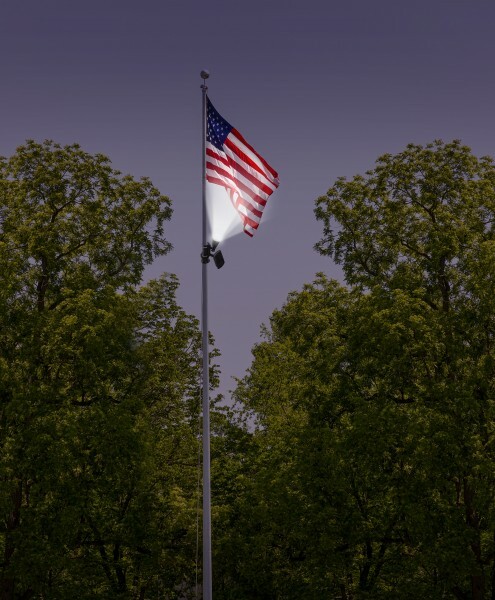 At dusk the solar flagpole light will automatically illuminate casting light onto your flag for up to 8 hours. Fully adjustable head pivots and tilts for the best angle. Mounting hardware included. Measurements: 4" x 3.5" x 8"
Light Duration: Up to 8 Hours when fully charged. Adjustable Fits Poles Width From 2" to 4"